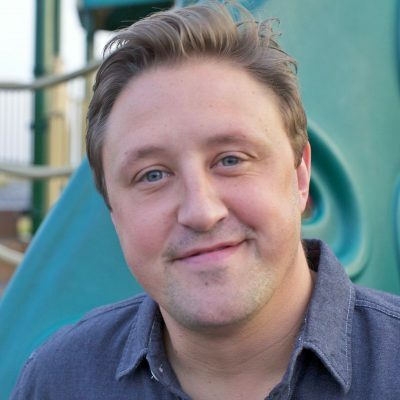 An Interview with Bill Klein from TLC’s ‘The Little Couple’. After spending the last year writing and promoting a book, I’m REALLY looking forward to getting back to my blogging roots. I’ve been thinking a lot about how I want to take DAD OR ALIVE forward and this seems like a great opportunity to launch a new feature and section, entitled ‘Dads in the Mix’. I think it’s important that there’s a place for fathers to go – even if it’s an anonymous reference point. I know that when I first became a stay-at-home dad, it wasn’t an easy transition. I’m hoping this new section will provide a platform that will support and inspire us in being the best we can be. ADRIAN: Bill, it’s great to meet you. Thanks for taking some time to talk. I know you’re a busy man now, chasing a toddler around. BILL: It’s not necessarily a matter of chasing for me, I’ve baby-proofed everything in here. He’s not going anywhere. I hope. ADRIAN: I have to say, last weeks episode had me handing my wife the Kleenex. You owe me a box. How amazing was it to meet your son, Will, for the first time? BILL: Needless to say, I was nearly in tears. While I wouldn’t change a thing, our journey to parenthood had a lot of difficult moments. To see our efforts culminate with meeting William in a hotel conference room on the other side of the world was simply amazing. We fell in love with Will when we saw his picture – and again when we met him for the very first time. ADRIAN: Do you have a nickname for him yet? BILL: Willie, Will, Will I Am, Willis… there a few. I will take responsibility for any confusion he exhibits this year. ADRIAN: Let me throw my hat in the ring with ‘Good Will Hunting’ – only because I hate to see you miss a good one. Putting my hack jokes aside, are you at all nervous about transitioning into fatherhood? BILL: At first, I was very nervous to be a Dad. Fatherhood seemed like something I spoke about so much, I got good at talking about it… but hadn’t lived it. And while I had some idea of how I would react to my son, I never expected the transition to be as seamless as its been. Not that it’s been easy, but that when there is a question of whether I sacrifice something I want to do or sacrifice spending a little more time with William… there is no debate to be had – the answer is very simple – and the winner is always more time with Will. ADRIAN: I totally get that. What’s the funniest moment you’ve had thus far with Will? BILL: There have been a bunch… and since I like bathroom humor I will share this: once Will and I were playing hide n’ seek in the living room. He was hiding behind the couch and I snuck up behind him. When I grabbed him, he was so excited and shocked that he farted… loudly. We both laughed for no less than 10 minutes on the floor. ADRIAN: I’d by lying if I said that I wasn’t having déjà vu right now. All this fart talk is bringing back memories. Let’s right the ship for a minute. 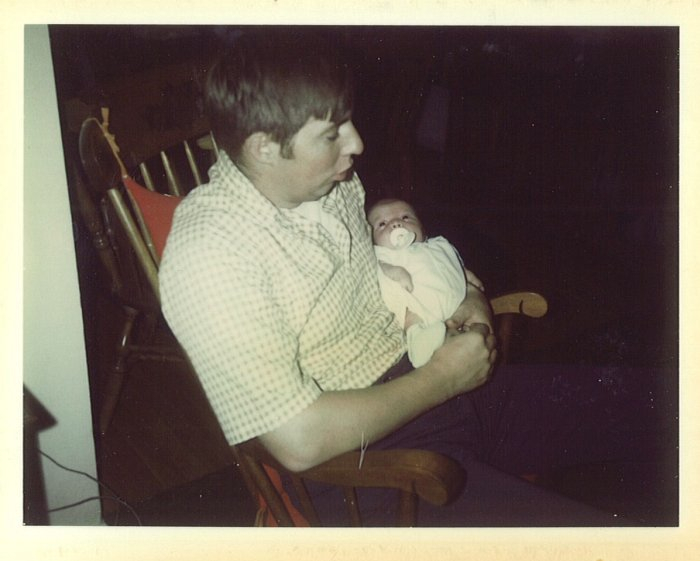 Tell me a little bit about your dad, Bill Sr.
BILL: My dad was the quintessential dad. He was a career police officer, volunteer fireman and Vietnam veteran. When it was time to join the scouts, my dad became the cub master (and my mom a den mother). For my 10th Bday, he bought me a (slightly used) two-seater go-cart, built pedal extensions so I could drive it. He was the kind of dad that wanted to see me grow up to be a man… independent, stubborn to fix things on my own and focused on achievement… done, done and done. ADRIAN: Did you ever do anything during childhood that got him super pissed? BILL: I’m sure I did, a bunch of times. From silly things to serious things, I’m sure I tested every boundary there was. One of my most serious offenses was in 9th grade. My grades had dipped to… well, unacceptable lows. I disobeyed his many requests and finally he was forced to take away everything I valued… television, friends, everything outside of school. For 3 months, I went to school, came home to do homework, ate and went to bed without any distractions. Sadly, it worked. I went from a 67% to a 98% in a quarter and never faltered from then on. ADRIAN: Is there anything that resonated with you in the relationship between you and your father that will transcend into your relationship with Will? BILL: In many ways, I felt our relationship was one where my father was, in part, looking to groom me to be ‘man of the house’. We had a lot of fun times, but we often spoke about real-life situations. I enjoyed the fun times, but I think I enjoyed being treated like a young adult even more. I’m sure my disability had something to do with it (having to deal with adult situations at a young age), but having adult conversations with your dad is something special. And while I am enjoying playing with Legos and Hot Wheels (what happened to Matchbox by the way? ), I am very excited for my first man to man discussion with my son. ADRIAN: With Father’s Day coming up, do you feel like you still need a gift? I plan on locking myself in a bathroom with a good book, how do you plan on spending it? BILL: I’ve never been a gift guy. I like giving gifts to my wife to get her reaction. And now with Will, I have double the fun and can spoil both of them. If there’s anything I want for Father’s Day, it’s a safe return from our upcoming doctor’s appointments. We have a few procedures that will be done this month and I have become the nervous dad. If we are lucky, Will gets discharged with a clean bill of health on Father’s Day and we are on a plane home that evening. 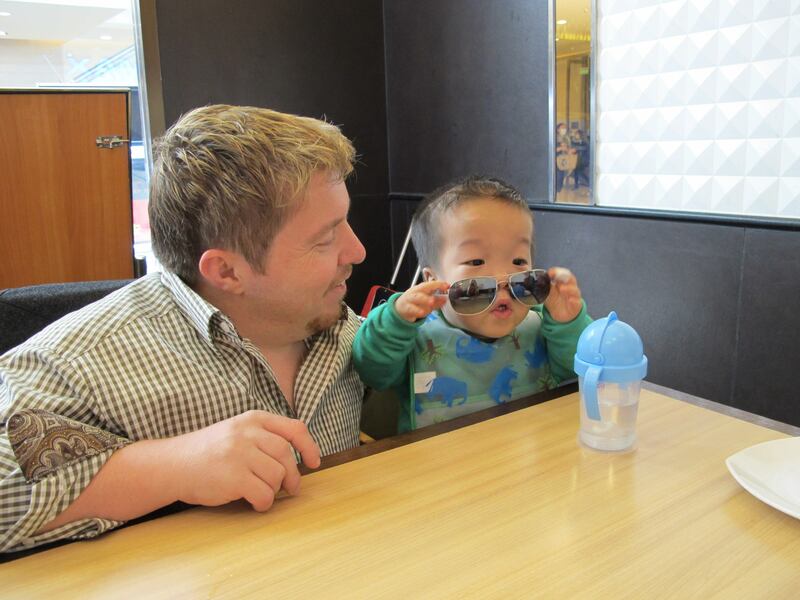 TLC’s ‘Little Couple’ airs their one-hour mid-season finale at 10pm on Tuesday night. It’s their last days in China with their new son Will… and before they can leave China, they have to fly south to Guangzhou, where the American Consulate will provide William with his U.S. Citizenship and he will have to pass a medical check. Bill & Jen bring him to the medical center where he undergoes a number of tests. Forced to wait outside the room, they struggle with their parental instincts, wanting to comfort him. To fill the time until all their paperwork clears, they find plenty of fun activities to do with William and bond as a family as well as celebrate Jen’s birthday. Their China adventure ends with a boat trip along the Pearl River and as they watch the lights of the city pass by, their thoughts turn to their new life that’s about to begin in America as a family. 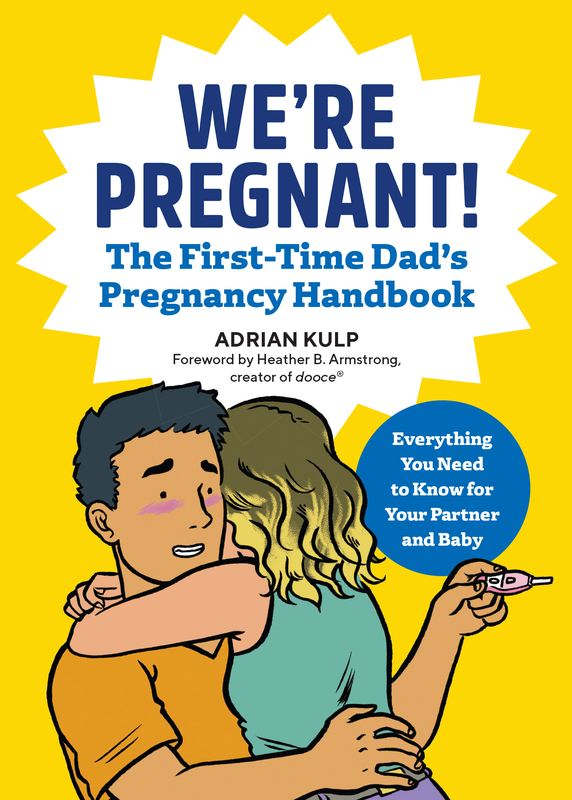 Forgive me (seriously, you’d better forgive me), but as part of an all-out marketing blitz to buy groceries next week, I’m still loitering at the bottom of my blog posts, letting you know that I wrote a book for Penguin Publishing that is a PERFECT gift for Father’s Day. 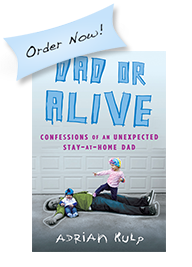 It’s a comedic memoir about not only becoming a dad, but ALSO an unexpected STAY-AT-HOME dad. …click here to order it now ! « My Accountant Told Me To Get a Job. Awesome interview! Thanks for sharing it with all of us! Can’t wait to meet little Zoey. God Bless Jen what a selfless person. Bill you seen to be the most wonderful husband and father. We will pray for your family.